There are many kinds of dementia that can cause similar symptoms to Alzheimer's disease. My father, a retired physician, had vascular dementia. Before he died in May of 2017, he required care at all times, especially at night when he became angry and disoriented. He told me once, in an out-of-control rant, that he wanted to split open my head—my father, who signed every note and letter he ever wrote to me with the acronym SWAK (sealed with a kiss). The changes in his abilities and personality were heartbreaking. But he could be more himself at times. I'll write about him eventually. His death and the suffering he endured, much of it unnecessary, is still too raw. I know what it is to witness a loved one lose the ability to make sense of relationships—to lose the ability to make sense of the world, no matter what kind of dementia they suffer. Alzheimer's disease is the most common cause, however. It results in the complete loss of cognitive function, and it is incurable. A few drugs are available to slow memory loss, before the disease is too advanced, but they don't work for everyone, and they don't bring about lasting relief for anyone. One of the most hopeful approaches to the treatment of Alzheimer's is the result of work by California neurologist Dr. Dale Bredesen and involves changes in lifestyle related mainly to diet, exercise and sleep. Compared to many afflictions, Alzheimer's is relatively slow moving. Symptoms usually become noticeable after age 65, but the disease begins decades earlier with imperceptible cellular changes in the brain. There is much we do know about it. For information, visit the Alzheimer's Association website and the Alzhiemer's and caregiving resource page of this website. 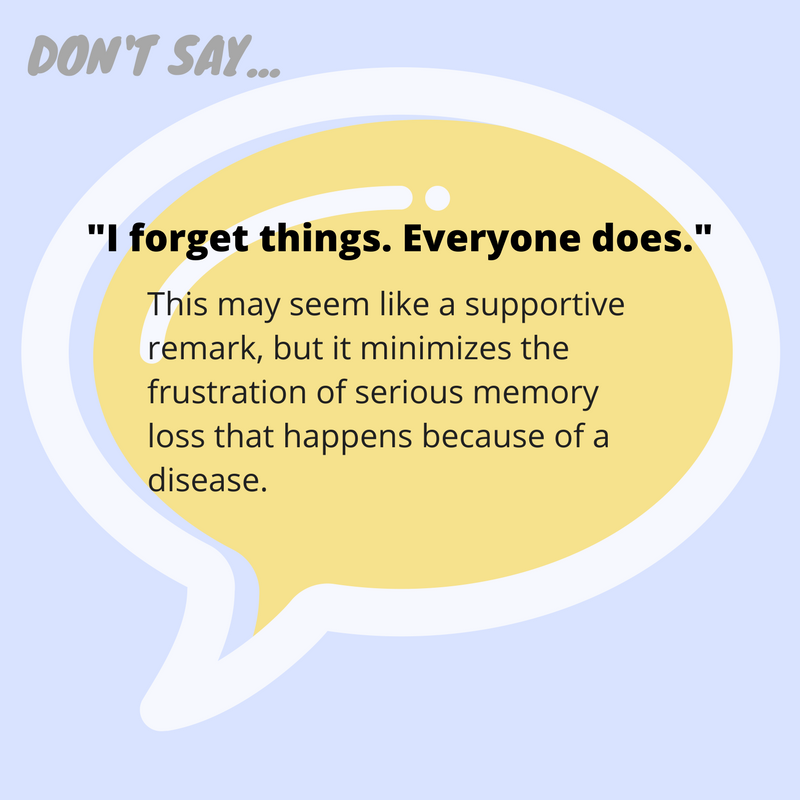 In the early stage of Alzheimer's, which can last more than five years, a friend is coping with memory lapses and problems with language, directions, initiative and judgement, among other symptoms that vary from person to person. As the disease worsens, the kind of round-the-clock caregiving my father required becomes necessary. The role of caregiver is most often filled by family members, who must deal not only with staggering responsibilities but with the steady decline of a loved one, unable to communicate effectively and to perform even simple acts of daily living, such as washing and dressing. Challenging behaviors can emerge with little warning; many of these are quite difficult to manage. Eventually, a person with Alzheimer's will fail to recognize family and friends, or even his or her own reflection in a mirror. Dementia, whatever the type, is isolating. It disrupts relationships and social connections for both the patient and the caregiver. People in the early stage of Alzheimer's can seem okay to friends and relatives. Friends can help by realizing that it is sometimes impossible to control behaviors that might upset and inconvenience others. 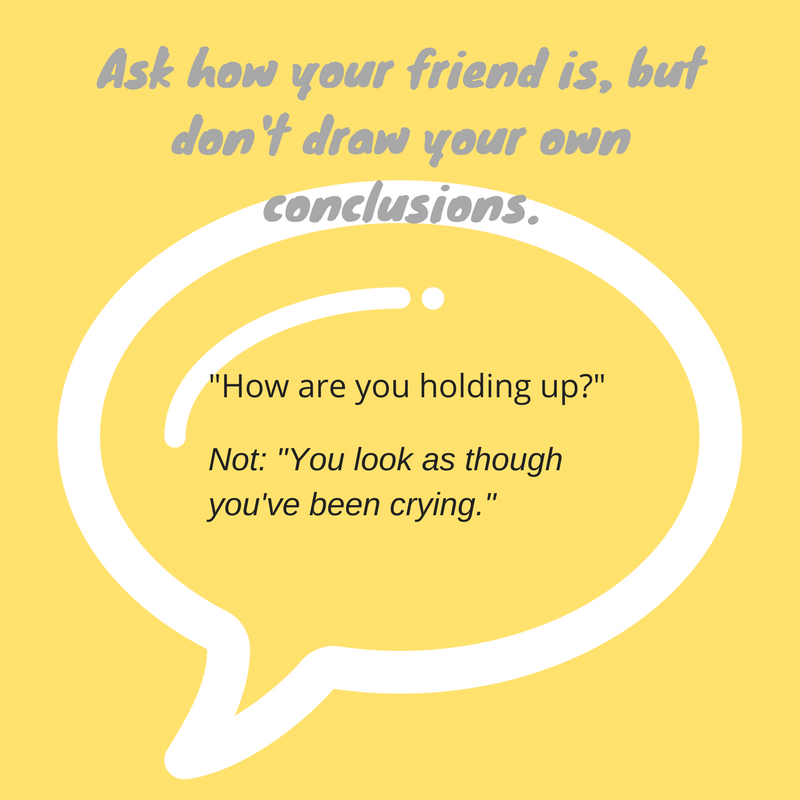 In the early stage, your friend is both the person you've always known and a person struggling with the ability to think, remember and make decisions. Click the arrows for ideas about helping a friend with early stage Alzheimer's. 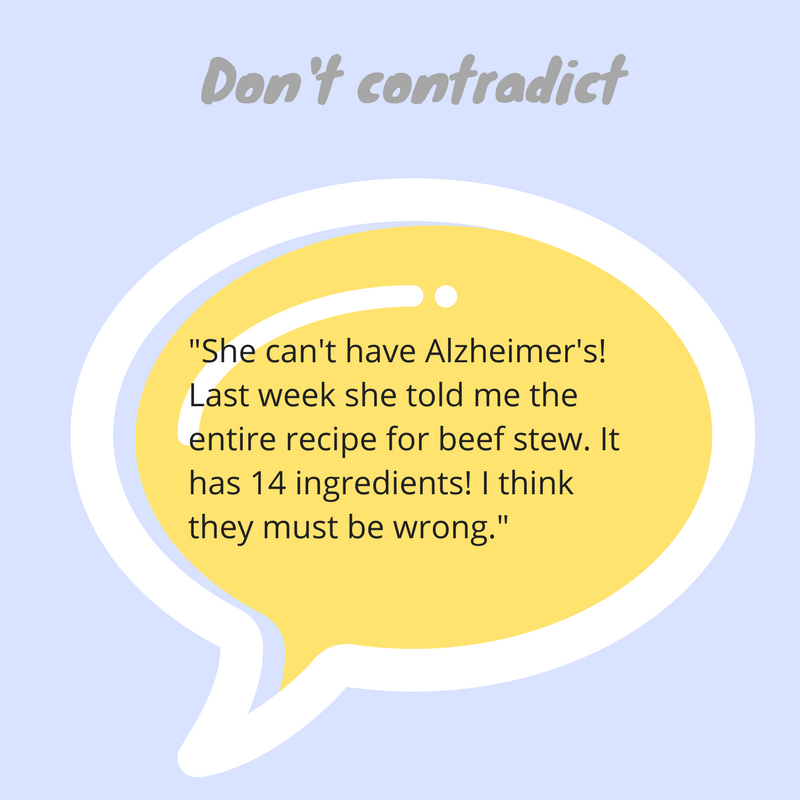 How do you respond when a friend or relative says to you, "My [wife, husband, mother, brother] has been diagnosed with Alzheimer's; we've been noticing some problems, but we weren't prepared for this shock"? You feel terrible for them, and you feel your own sense of loss, too. The best response may be to take the friend in your arms if it feels right, and communicate empathy without words. Think before you speak. Imagine the fear and pain your friend is feeling. 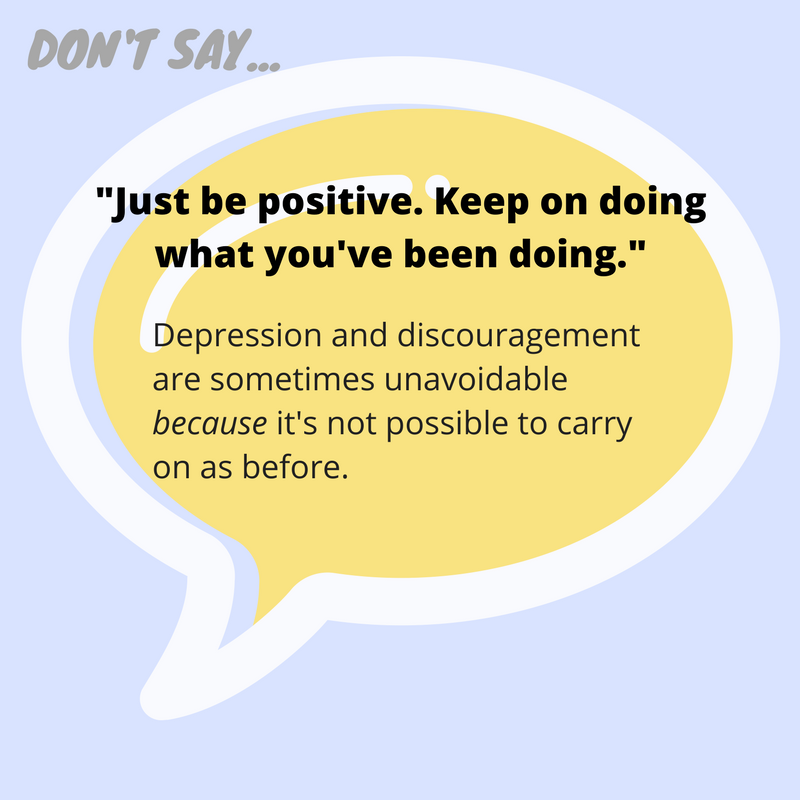 Click the arrows for ideas of what to say and do when you're told about the diagnosis. Caregiving to an Alzheimer's patient who cannot be left alone is exhausting and isolating, but you can make a difference, especially if several friends work together. Look for more ideas in "Staying Connected." Click the arrows for 7 Ways to Support a Caregiver. 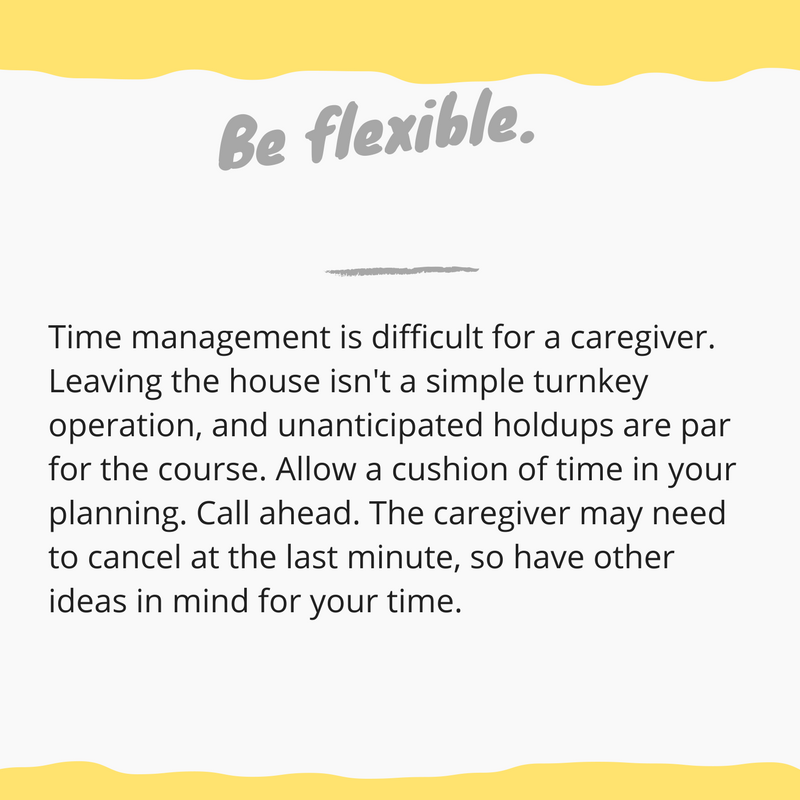 Click here for a printable handout on helping caregivers. "I have been a POA and health care POA, as well as trustee of my stepmother's trust for the past 8 years. She is now in the advanced stage of Alzheimer's. Two weeks ago, my husband of 35 years was given a diagnosis of moderate dementia. How can I love my husband during this time, so he knows he is a man of value and well-loved?"